Grade 3 telling the time worksheet. 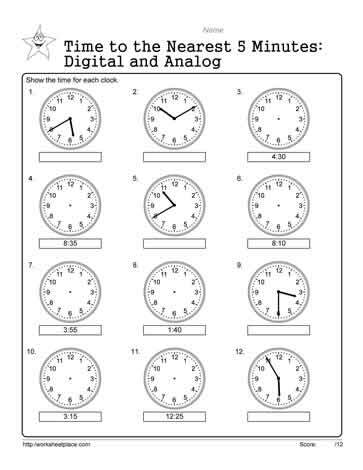 Look at the clocks and either put the hands in the right place to the nearest 5 minutes or input the time digitally. Children should learn how to tell the time both with analog and digital clocks.